If you are like most homeowners, you and your family tend to rely a great deal on your heating system during the winter months. Not only does it help to keep your home warm and comfortable, even when the temperatures outside drop to their lowest, but it also plays a major role in you and your family's safety during that time, as well as your health. When the weather gets cold, you want to be absolutely confident that you have a heating system that is going to be able to keep up with the demands being placed on it by you and your family, but if your system is a bit older, or just hasn't been properly maintained over the years, your old heating system might not be up to the task. When the time comes, and your heating system is no longer able to keep your home at the level of comfort you and your family demand, it's time to pick up the phone and let our heating contractors install a new heating system that is better able to meet your demands. For all of your new heating installation needs, there is no one better suited to the task than the pros here at Mobley Heating & Air. Keeping your home at its most comfortable during the cold winter months all begins with a quality heating installation. Our team of local air conditioning and heating experts here at Mobley Heating & Air can help you find the perfect new heating system for your home and give you a quality installation that you and your family will be able to depend on for years to come. If you have any questions about our line of high quality heating installation services, or if you would like to schedule an appointment for consultation with one of our specialists, give us a call today. Our team of experts are always standing by and would be more than happy to assist you in any way we can. 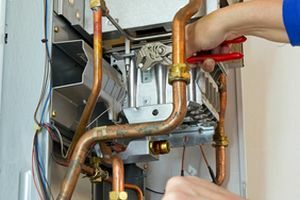 Installing a new heating system is a fairly complex process, and as such, you want to be sure that you have a team of experienced professionals on hand who can ensure that the job gets done right, and gets done right the first time through. The quality of your new heating installation sets the tone for your new system's entire life in your house, so it pays to make sure you get started off on the right foot. A sloppy or improper installation can lead to a number of issues down the line, so it pays to make sure that you get it right the first time. Here at Mobley Heating & Air, our team of local air conditioning and heating experts will handle every aspect of your new heating installation, and provide you with lasting results that you and your family can count on for a very long time to come. 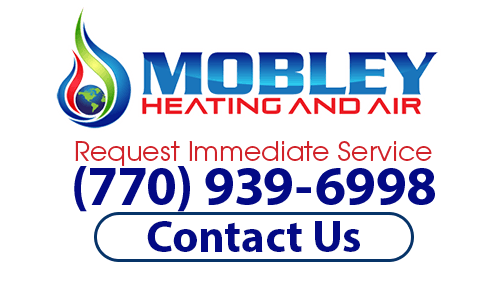 If you are looking for a heating installation professional, then please call (770) 939-6998 or complete our online request form.